The Joshua Tree: Debugging information cannot be found? No Problem! Debugging information cannot be found? No Problem! In my last post, I discussed the frustrations of Visual Studio 2005 (and later versions) not being able to locate debugging information, even though it was present and fully usable by other tools. I believe I have discovered a workaround that works nearly all the time: Remote Debugging. It turns out that running the Remote Debugging Monitor on the same machine and setting up the project to use Remote Debugging seems to work around whatever issue Visual Studio is experiencing. Remote Debugging is really useful if another machine is experiencing a problem that you can't reproduce locally. 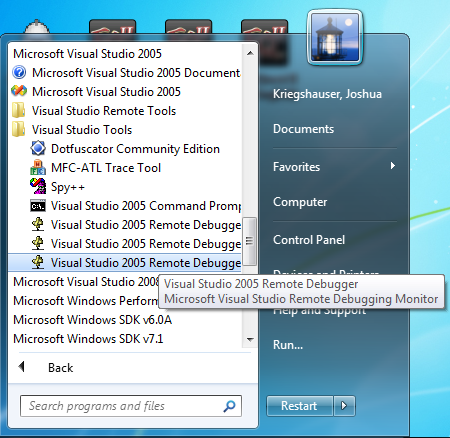 The Remote Debugging Monitor is primarily intended to run on a different machine than Visual Studio, but can also run on the same machine. Generally, the machine running the Remote Debugging Monitor will need the files. These are found under the Visual Studio install location: C:\Program Files (x86)\Microsoft Visual Studio 8\Common7\IDE\Remote Debugger\x86 (for 32-bit) or C:\Program Files\Microsoft Visual Studio 8\Common7\IDE\Remote Debugger\x64 (for 64-bit). Copy the files from the above directory to the machine that will run the Remote Debugging Monitor (skip if you are running the Monitor locally). Configure the options if necessary. Take note of 'Server name'. 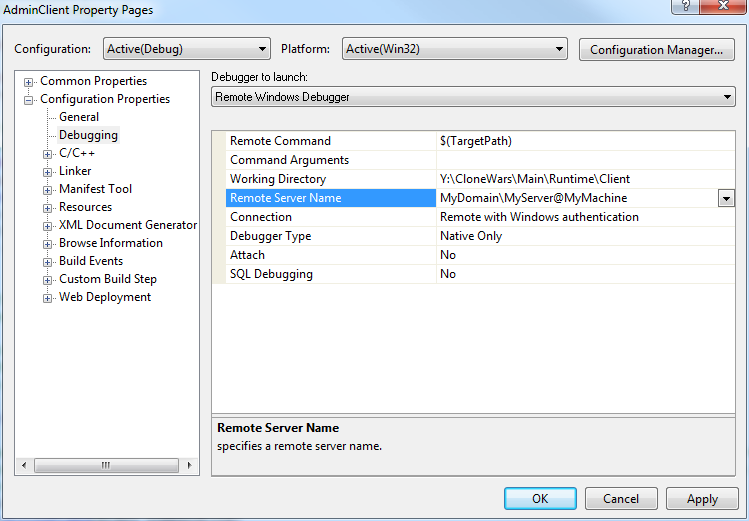 Configure your project to do Remote Debugging. 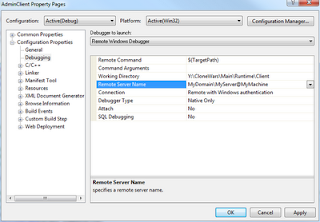 Change the 'Debugger to launch' to 'Remote Windows Debugger'. 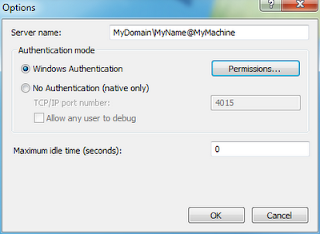 The 'Remote Server Name' must match the 'Server name' configured above if using Windows Authentication. 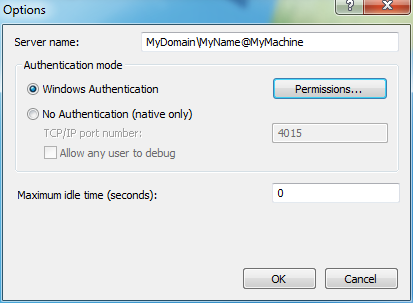 If you are running the Monitor on a remote machine, the Remote Command and Working Directory will be paths on the remote machine. 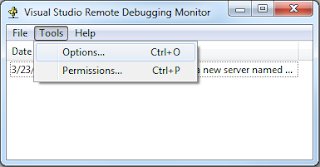 When you Start Debugging, Step Into or Step Over to start debugging the application, Visual Studio will now connect to the Remote Debugging Monitor. You should be able to verify this by looking at the Remote Debugging Monitor and seeing how many connections it has. So far this appears (for me at least) to be a successful work around to the 'Debugging information for 'X.exe' cannot be found or does not match. No symbols loaded.' error message. There have only been about two times in the past month where a problem occurred. In those cases, a restart of Visual Studio (and killing mspdbsrv.exe) fixed it.